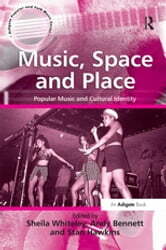 Music, Space and Place examines the urban and rural spaces in which music is experienced, produced and consumed. The editors of this collection have brought together new and exciting perspectives by international researchers and scholars working in the field of popular music studies. Underpinning all of the contributions is the recognition that musical processes take place within a particular space and place, where these processes are shaped both by specific musical practices and by the pressures and dynamics of political and economic circumstances. Important discourses are explored concerning national culture and identity, as well as how identity is constructed through the exchanges that occur between displaced peoples of the world's many diasporas. Music helps to articulate a shared sense of community among these dispersed people, carving out spaces of freedom which are integral to personal and group consciousness. A specific focal point is the rap and hip hop music that has contributed towards a particular sense of identity as indigenous resistance vernaculars for otherwise socially marginalized minorities in Cuba, France, Italy, New Zealand and South Africa. New research is also presented on the authorial presence in production within the domain of the commercially driven Anglo-American music industry. The issue of authorship and creativity is tackled alongside matters relating to the production of musical texts themselves, and demonstrates the gender politics in pop. 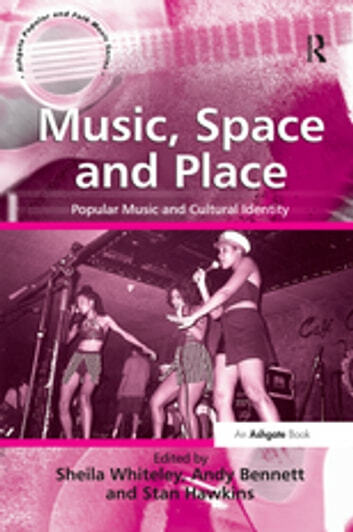 Underlying Music, Space and Place, is the question of how the disciplines informing popular music studies - sociology, musicology, cultural studies, media studies and feminism - have developed within a changing intellectual climate. The book therefore covers a wide range of subject matter in relation to space and place, including community and identity, gender, race, 'vernaculars', power, performance and production.